Home NEWS Thika MCA ‘miss out’ on Minority Leader’s docket due to legal technicalities. Thika MCA ‘miss out’ on Minority Leader’s docket due to legal technicalities. Gatuanyaga MCA Joseph Kahira Wambui who was elected on a Maendeleo Chap Chap Party has missed out being the leader of minority due to legal constraints. 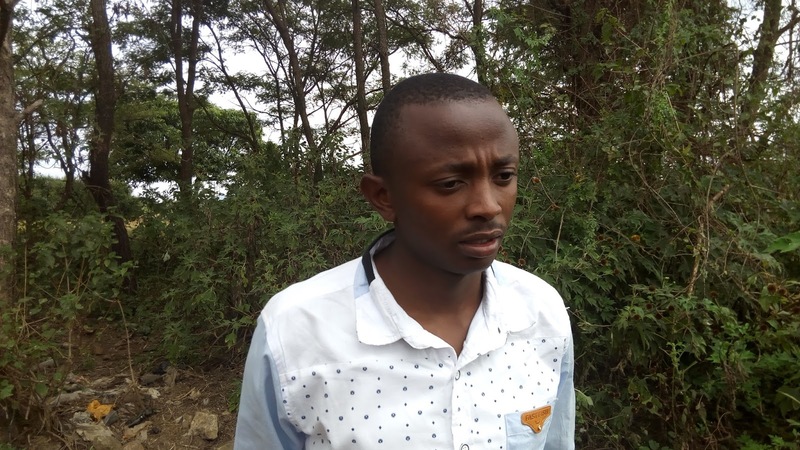 Gatuanyaga MCA Joseph Kahira Wambui is not the official Leader of Minority at the Kiambu Assembly despite being the only MCA in the county to have won a seat outside the Jubilee Party. While responding to questions from the press on Thursday, speaker Stephen Ndichu said as Kahira’s Maendeleo Chap Chap party has failed to meet the requisite threshold. “To qualify to be in opposition, the official opposition must have a 5% representation in the house. The current house has only one member elected on a different party — the member for Gatuanyaga Ward which simply means that Kiambu County Assembly doesn’t need a leader of minority because there’s no legal opposition,” explained the speaker. He added that Maendeleo Chap Chap became an affiliate of Jubilee and was consequently listed with the Registrar of Political Parties, subsequently disqualifying it from assuming that particular docket. Ndichu said the assembly has got six members who belong to the minority groups as provided for by the Constitution. “Essentially, we have nominated members from minority groups as per the Constitution thus addressing the issue of the minorities,” he said. In the previous assembly, the seat of the leader of minority seat was held by former Gatuanyaga MCA Cecilia Wamaitha, who was elected in the first assembly on a Farmers’ Party ticket. She lost her seat during the August 8 election by Joseph Kahira. The leader of the minority party shall be the person who is the leader of the second largest party or coalition of parties in the county assembly. The leader of minority heads both the very powerful Public Investment and Public Accounts Committees in the assembly committees due to checks and balances of the executive. They are also members of the County Assembly Business Committee whose functions among others, is to prepare programme and calendar of the County Assembly, implement the programme, issue directives or guidelines to prioritise or postpone business of the County Assembly and determine order of debating committee reports. The leader of minority is a member of the Committee on Selection that nominates members to serve in select committees and those to serve in House Business Committee. They also serve in Committee on appointments that consider appointments of the County executive Committee Members. The speaker said that the county assembly will hold some of its sittings in the wards in the new plan called ‘Bunge Mashinani’ that will allow the members of public to interact with the assembly so as to understand how it works. “The county assembly is determined to ensure residents get the best representation,” he concluded.